We are very saddened to learn that Grace Meany has passed away. A dental hygienist, Grace was hired by Dr. Mervin in 1972 and worked for Wahl Family Dentistry until she retired in 2000. Grace was beloved by her patients, many of whom still ask for her today. Drs Mike and Peggy and our office manager Susan were fortunate enough to work with her for many years, and Dr. Mike was Grace’s patient while Dr. Mike was a child. We will miss you Grace. Rest in peace. 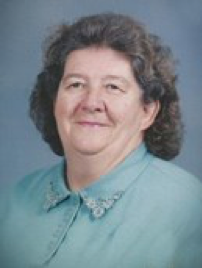 Wilmington – Grace E. Meany Greer, 83, died peacefully on March 25th, 2019, at her lifelong home on Beaver Valley RD. Known affectionately as “mom-mom” she was a loving matriarch to her family. Grace’s delight was her family, and to the end, her face lit up at the sight of her two great grandchildren, Miles and Reese.